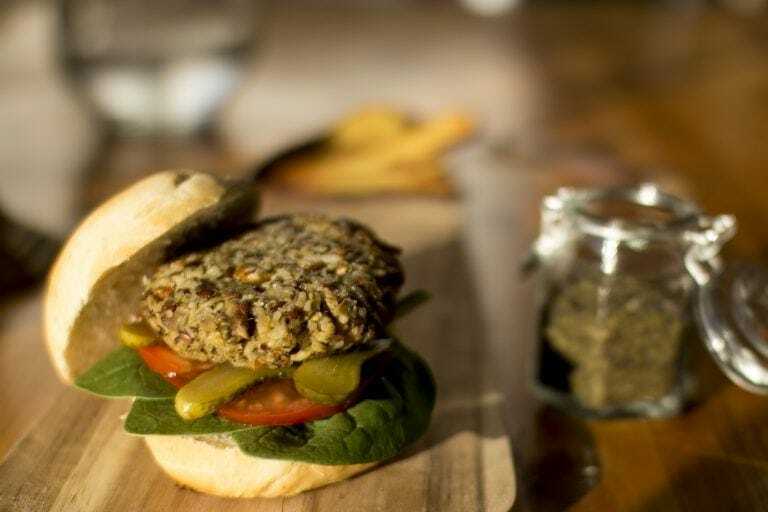 Simply Seaweed Rice Burger - Lofoten Seaweed | From Lofoten, Weed Love. 1. Combine the Simply Seaweed with 8 tbsp of water and the ground flaxseeds with 6 tbsp of water. Set aside. 2. Toast the sunflower seeds in a dry pan. Set aside. 3. Finely chop the onion, garlic and carrot and sauté them in a pan with some olive oil. 4. Combine all the ingredients in a big bowl and let the mix cool down in the fridge for at least 30 minutes. 5. Wet your hands and form the burgers. If the burgers fall apart, add more oat flour until the batter is more consistent. 6. Fry the burgers on a pan with some olive oil at medium heat (around 2 minutes per side) or bake in a preheated oven to 180ºC for 20 minutes or until golden brown.